Zahid Al Amin :: You maybe interested to know about Community Radio. Maybe you want to know What is Community Radio? So let’s go to know about this special types of radio. Community Radio is a special type of radio service that offers a 3rd model of public radio broadcasting. These radio stations serve on the basis of geographic communities and their area of interest. It is conceptually hundred percent people’s radio. By and large, Community Radio broadcast contents those are very much relevant and well-liked to the concerned local audiences. This type of radio doesn’t follow the way of commercial or mass-media broadcasters. These radio stations are functioning, owned, and influenced by the communities they serve. Mostly, this radio station runs as a not-for-profit initiative and provide a mechanism for enabling individuals, group as well as communities to tell their own stories, to share experiences, happiness and miseries, to become creators and contributors of media. The key role of community radio is giving a voice to grass root level people who do not have access or limited access to mainstream media to express their views. Promoting the right to communicate, expediting the process of informing the community, assisting the free flow of information and acting as a catalyst of change are major tasks achievable of this kind of radio initiative. It also upholds creative growth and democratic spirit at the community level. In Bangladesh as well as other countries across the globe, Community radio operates as a medium for the community and voluntary sector, civil society, agencies, NGOs and citizens with a view to work in a joint venture for further community development. The definition of community radio is stated in a similar manner in many countries, including Philippine, South Africa, Australia, United States of America, Germany, France, Argentina, Ireland. Most of the countries have included the objective of community radio in their legislation only for social benefit or social development by creating awareness for positive changes. The first Community Radio has launched after the World War II. It is originated in Latin America. To protest against poverty and social abuses of the radio started in 1948. The two pioneer community radio stations are Mainers in Bolivia and Sutatenza in Colombia. The radio is being set up in different parts of the world that inspired yet. The radio acted following the contradiction between the capitalist system and the Marxism. It was the voice of the mine workers for appropriate working conditions. The Community based radio stations in this modern age is designed their programs for their valued listeners by offering a variety of content that is hardly provide by the larger commercial radio stations. These radio outlets may carry news and information programming geared toward the local area. For example, a radio station set up in a coastal area for creating climate change issues in this specific area or a radio station that is being run in remote areas where tribal or minority people are living. 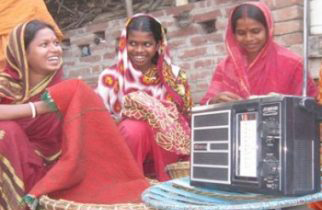 And the objective of this radio could be the awareness of child education, child marriage or dowry. The contents could be delivered through music, talk, news or any other innovative way and the structure of delivering messages is so informal and people’s-friendly. Most of the community radio broadcasts their program for a certain period of time every day. Posted in BlogTagged All About Community Radio, Community Radio, Community Radio Broadcasting, History of Community Radio, How works Community Radio?, Objectives of Community Radio, What is Community Radio?